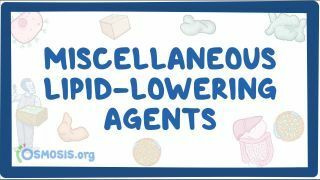 Osmosis: Miscellaneous lipid-lowering medications. (2019, April 20). Retrieved from (https://www.osmosis.org/learn/Miscellaneous_lipid-lowering_medications). Colestipol (trade names Colestid, Cholestabyl) is a bile acid sequestrant used to lower blood cholesterol, specifically low-density lipoprotein (LDL). It is also used to reduce stool volume and frequency, and in the treatment of chronic diarrhea. Colesevelam is a bile acid sequestrant administered orally. It was developed by GelTex Pharmaceuticals and later acquired by Genzyme. It is marketed in the US by Daiichi Sankyo under the brand name Welchol and elsewhere by Genzyme as Cholestagel. In Canada it is marketed by Valeant as Lodalis. What is the MOA of Colesevelam?